Background/Info: Blasted is an Italian producer who already has released a few numbers of EP’s. He now joined hands together with Depth.Request to unleash this new work. Notice by the way the digital edit features one extra song. Content: There clearly is a new techno-format that never stops to grow. Blasted belongs to this industrial-techno movement, which you can also linked to a dark-techno approach. The tracks are hard and arousing, leading the listener into a hypnotic sensation. 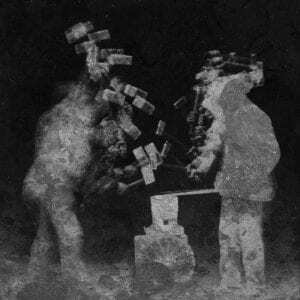 + + + : I fully enjoy this industrial-techno approach, which sounds hard, dark, a bit unpolished and ultra-danceable. It’s a tough production made with raw sound treatments and resulting in a great title track. – – – : “Anvil” is a cool cut, but maybe not a potential hit. I like the sonic ideas running through this work although I’ve already heard more convincing productions in the genre. Conclusion: Blasted is a fully appropriate name for this rough and haunting industrial-techno format.